There is nothing as liberating as killing it on Indian off-roading routes with an SUV full of peeps to cheer. Here are some pointers on picking the right adventure companion for your trip! SUVs are usually chosen by off-roading enthusiasts for their comfort and safety while venturing through the dirty tracks less traveled by. A road trip from Delhi to Leh through Spiti is a dream ride of every traveller. The fun bit is actually pushing your vehicle to its maximum limit while being in absolute control. Sports Utility Vehicles are known for their rugged exteriors that make them robust to external factors but a high-performing vehicle is bound to give you perfect satisfaction. We are here to tell you what to look for in your beast! Most SUVs these days have some level of refined traction control system. Traction control usually uses either the breaks or the 4X4 mechanism to limit brake from slipping and ensure that sufficient torque is being transferred from the tire to trail. It basically informs the panel computer on how to monitor the wheel spin to break when needed and to keep the vehicle moving forward. Since each vehicle has a different working order, read up about your vehicle on the user’s manual before taking it off-road. Low and high speed is dependent on the gearing of your transfer case. 4WD High is good on a consistent road where you want to nail high speed, but it offers a low torque at the wheels when stopped. 4WD Low comes in handy when you need grip and power at a low speed (mountain off-roading). Locking differential locks the turning of the left and right wheel of your car together. While moving the wheel on normal terrain, the inside of a corner turns more slowly, as it travels a slightly lesser distance than the outsides. This makes the wheels turn at different speeds as expected. In an all-wheel-drive system, the algorithm constantly makes adjustments, so power is shifted to where it’s needed the most. While off-roading, this inconsistent speed between the left and right sides could lead to a loss of traction, taking power to the wheel with least resistance, usually the one that is slipping. Hence it is advisable to go full-time 4×4. This is an argument that has been on for ages when it comes to trailing off-road. Both systems have their pros and cons. The bottom line, however, is controlled with manual, you know exactly how your vehicle is steering. The mode helps you put the right gear to eliminate wheel spin, in case you need to dig your car out of dirt or mud. The easy braking is also an advantage while driving downhill. With automatic, the driver can concentrate on other features and experiment without having to worry about operating the clutch or gear. While going at really low speed, automatics prove handier as it would save you all the unnecessary gear shifting. But ultimately, off-roading is about free driving and your choice should depend on what you are comfortable operating on. 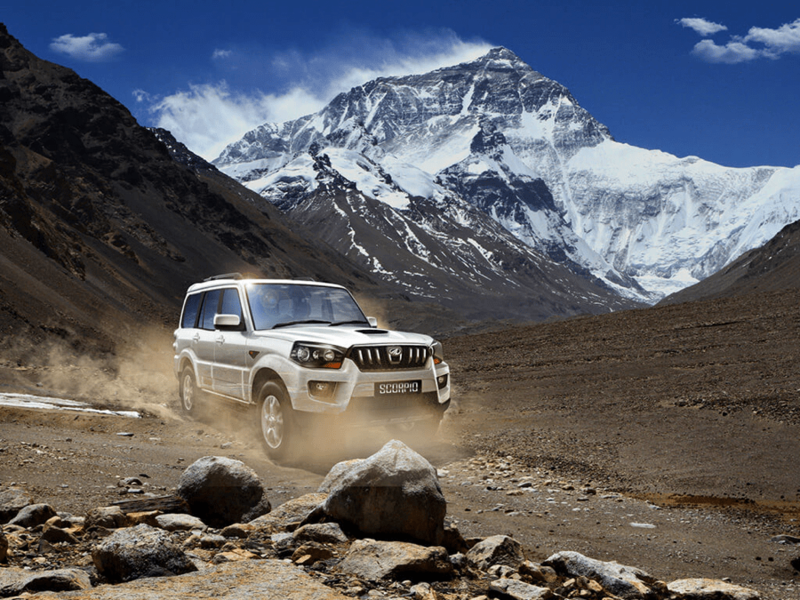 Himalayan roads are said to be one of the most adventurous to drive on. Anyone who decides to buy a strong SUV wanting to find some new tracks to wheel on must be ready to face all kinds of difficult lands, dirt, snow, loose land or impossible rocks. So we recommend you take our advice on the above four pointers and choose your vehicle wisely! Mahindra Thar comes with a 105bhp, 247 Nm performing 4-cyl engine, but the best part about this unstoppable SUV is that it can take a lot of abuse on any off-trail trip. Thar gives you an option to drive on 4W High or Low depending on your situation. 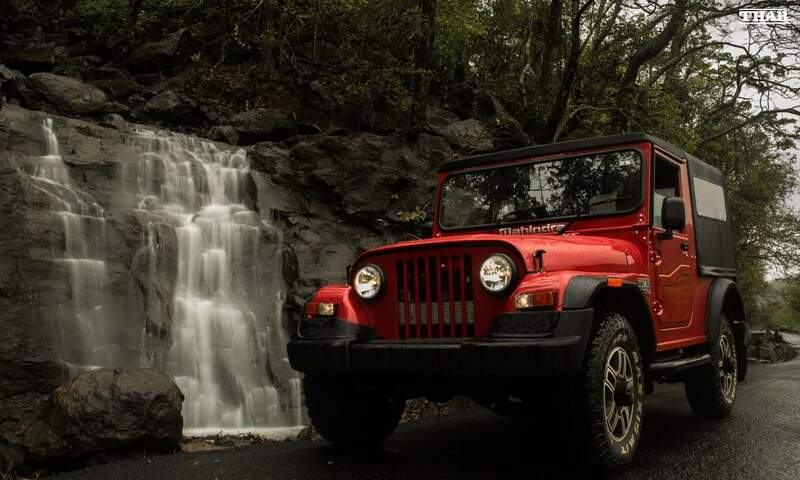 Great mileage, silent engine and a durable SUV that is worth your money – pretty many sums up Mahindra Thar. This car sort of thinks for itself! This third generation Scorpio comes with the same 118bhp, 280 Nm performing 4cyl, 2.2 liter mHawk engine that makes the vehicle very powerful. The short overhangs are a definite add-on compared to other Mahindras in line. This vehicle is designed to keep the travelers safe inside no matter how rugged the terrain gets. 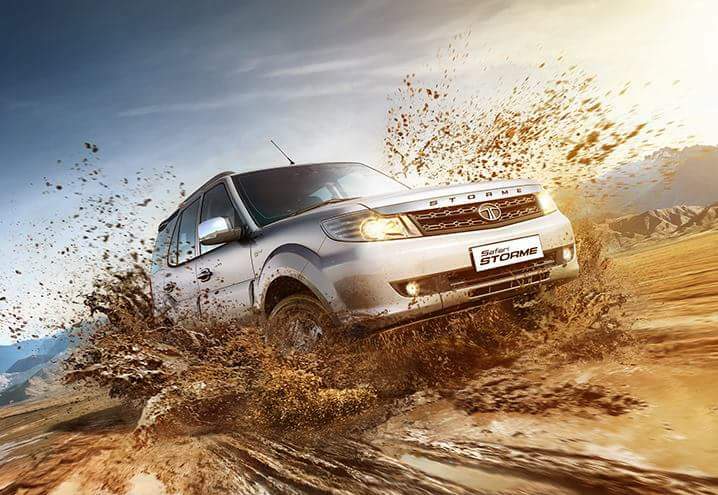 Despite its daring and dangerous exteriors, Tata Safari is loved for being incredibly comfortable to be inside. The seat arrangements give passengers a great all-around view while the 2.2 liter VariCOR motor produces an exuberant 400 Nm Torque that makes this SUV suited for all ground situations (Of course we are not talking about mountain crawling, but more like a race to the farmhouse.) The massive size and kerb weight could make this SUV a little slow off-road. Now, unlike all the other comfortable SUV’s on this list, Gypsy gives you very little on the comfort and convenience front. But what it does do well is, perform well off-road compared to most of its contemporaries. 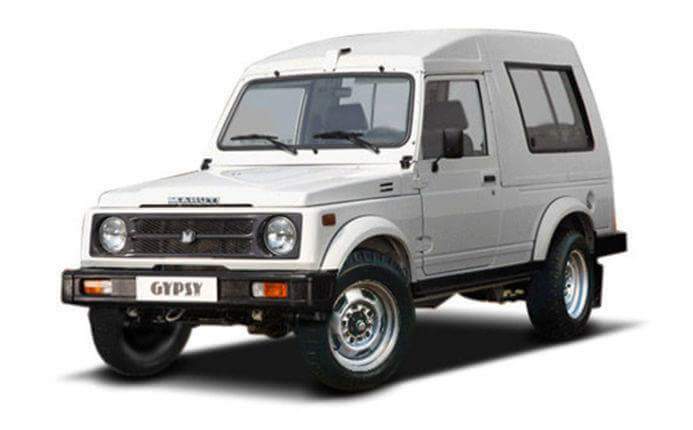 The 1.3 liter petrol engine on Gypsy generates an 80bhp power with 103 Nm torque. The setback? Well, you may not love the feel of it on a highway! 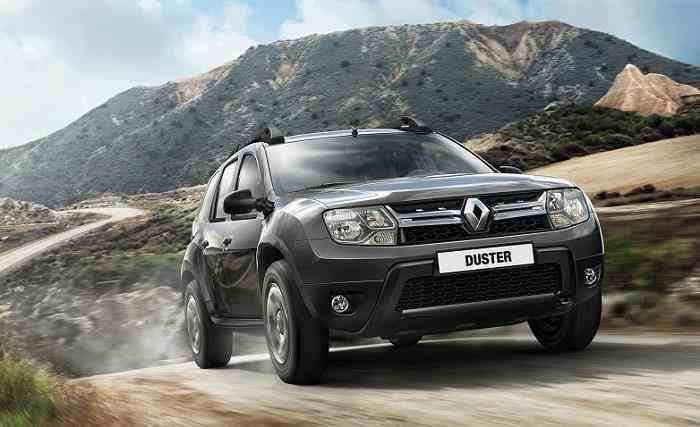 The Duster offers a driver the best of both worlds, a civilized AWD that could be engaged on-the-fly, while also coming with an excellent differential lock system that distributes the torque evenly. Shorter gear-ratios on automatic mode, independent suspension on all corners, traction control, and anti-skid resistance are some of the features that make Duster a good pick. That said, the interiors could get as uncomfortable as the post-sales service on your Duster. Thanks for your appreciation Aman. stay tuned for more such articles.